It is amazing how much can happen in a year! After over 50 interviews with the world's highest performing entrepreneurs, the Misfit Entrepreneur is celebrating it's one year anniversary. In one year, the show has gone from starting to being listened to in over 50 countries by thousands of people each week. This could not be done without all of you in Misfit Nation! The celebration of Misfit's success and its impact is just as much yours. Thank you, thank you, thank you for all of your support, sharing the show with others, feedback, comments, and encouragement over the last year. With that said, it's time to turn the tables where you finally get to hear from the Misfit himself, Dave Lukas. 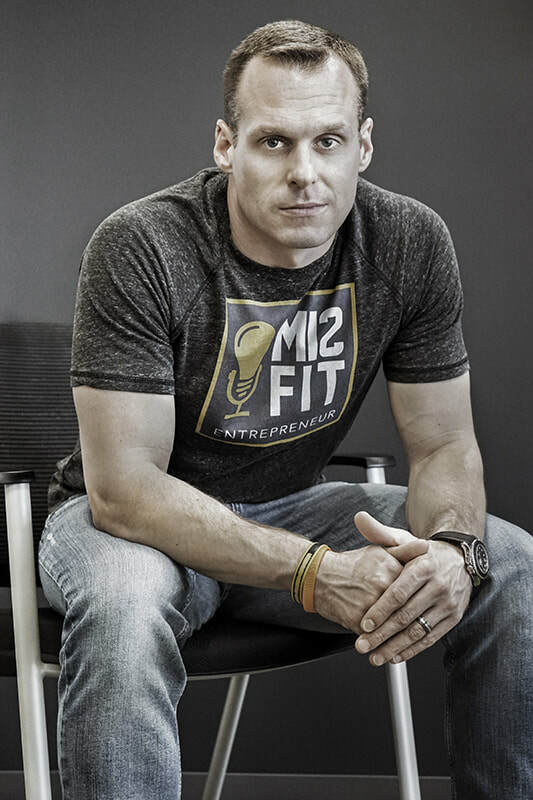 In this special episode, world renowned speaker, best-selling author, entrepreneur, and producer, Evan Money interviews Dave on everything from his business advice to what he is most ashamed of to where he see things going next - and how you can be a part of it. Lastly, Dave shares his Misfit 3 with Misfit Nation! Dave talks about the time in his largest company where they just flat ran out of money and the decision they had to make to keep it alive and going including putting in the last of his life savings, lessons learned, and how he, his business partner, and team dug their way out. At the 7:30 mark, Dave talks about the hardest decision he ever made in his personal life. Empathy. Dave tells the story at the 14 min mark. In his youth, Dave was driven to a fault and had an air of cockiness about him. He tells the story of learning to lead people, gain empathy, and work with others and attributes the struggle he went through to become a better person to his success today. At the 20 min mark, Dave and Evan discuss parenting and the unique advice Dave was given by his business partner before becoming a dad. He also talks about the mind and its conditioning and how it relates to parenting. At the 24 min mark, Dave talks about how he has no regrets and how everything had to happen exactly as it did for him to even be here today. He does recount a dark and embarrassing time in his life that helped to make him a better person and discussed it with Evan. At the 30 min mark, Dave talks about what he is learning that is new and “cutting edge” in building and growing businesses, wealth, and what he is passionate about in business today. At the 36 min mark, Dave talks about a contrarian way of looking at goals and achievement. He also gives you the “secret magical” word to help propel you to great success and explains it in the detail. The word is “How"
What do you need the most help with? What are struggling with right that Misfit Nation could help with? Help get the message out about what Dave and the Misfit Entrepreneurs are doing. Share the show with others and help give feedback on how to make it better. The show exists to help you with your biggest challenges, so let Dave and his team know how they can do that. And share how the show may already be doing that for you. You have to unleash the power of your mind by understand your conditioning and where the way you think originates. Challenge yourself to find what you truly believe down to your core. Your beliefs equal your results. Choose to be deliberate about your success. Take control and responsibility of all areas of your life. Don’t get caught in the victim trap. If you are in control of your beliefs, then you control your state. Have the courage and will to act. It is 5% idea and 95% action. You must take the step to start on anything. It is easy to get conformable and fall into the inertia trap and stay there. But rarely do truly great things comes from comfort zones. You have to commit to take action and keep taking action toward what you want. It is a choice.